(October 3, 2016; Foxborough, MA)—BLACKLINE Retail Group and The Kraft Group proudly celebrate the opening of Scorpion Bar. Scorpion Bar brings Patriot Place creative, traditional style Mexican cuisine in a high quality, luxury environment. The 7,800 SF restaurant can accommodate private parties in addition to the main areas and is highlighted by its two expansive outdoor patios. The grand opening was on Friday, September 30, 2016 at 5 PM. 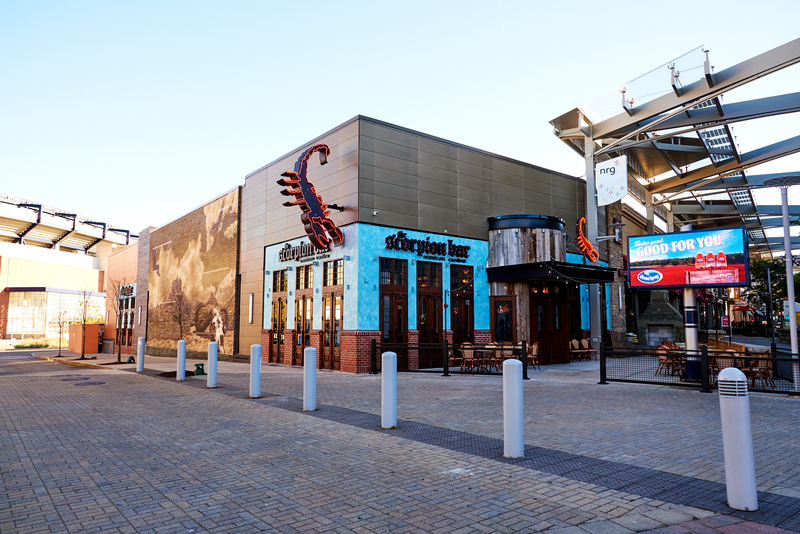 The new Scorpion Bar is located at 253 Patriot Place. This is the second Scorpion Bar location for Big Night Entertainment Group with the first located at Foxwoods. Adjacent to Gillette Stadium, Patriot Place features more than 1.3 million square feet of shopping, dining and entertainment. Patriot Place is uniquely positioned on Route 1, half way between Boston and Providence and surrounded by several affluent communities boasting average incomes of $100,000+. Anchored by Gillette Stadium & Convention Center, Brigham & Women’s Hospital, Bass Pro Shops, Cinema de Lux, Renaissance Hotel, and over 700,000 sq. ft. of retail and restaurant space, electronic traffic counters at the site have measured 9 MILLION visitors per year, not including NFL game days.